$$$ Fixed, transparent pricing. No surprises. Pixel perfect. I won't stop until you're satisfied. I develop everything from landing pages to full eCommerce sites. I identify where your website is leaking money, and I fix it. "Stan has been great! Would totally recommend." "Perfectionist lived up to his name with our project. He put a great deal of effort into making sure our brand was communicated in the right way through the design." "Amazing service . Best design and customer service . Simply faultless . Highly recommend to use . And will certainly be using again . Very fast and more than happy to help "
"Always a great design from Perfectionist..."
"Great service . Very helpful and professional "
"Perfect - as always! Thanks!" 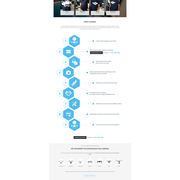 "Perfectionist designed a very intuitive step by step graphic for our site. 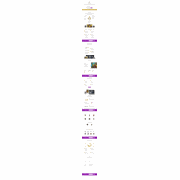 He does a great job integrating his design with the rest of the page. He nailed it on the 1st try. No edits necessary! He also went above and beyond by providing us a crisper ..."
"Great design and got work done very quickly for us. All good!" "Amazing work! Very responsive to requests." "Very responsive, innovative, creative...simply a joy to work with!" "Very responsive and beautiful work! " "Very talented, skilled and incredibly responsive and pro-active. Highly recommend!" "First.Class gave us the designs quickly. Also agreed to provide more updates on our design after the contest."